With 8 runners and being a class 5 race it actually looks quite a nice race, I've got joint 3rd top rated with Meshardal and Farkle Minkus who both like to race fairly prominently so should make sure the front runner doesn't get it all its own way and that leader looks most likely to be Pennine Warrior who is my 2nd top rated but I'm not sure if this one wants it to be too firm but top spot is PORTLAND STREET 3/1 who can be held up or track the leaders but this one might need the going to be at least good to firm to show its best and being a 3 year old it could still be able to improve but it has quite a few spots in hand already so a reproduction of its best time set at Carlisle would see it back into the winners circle for the 3rd time in 4 races. 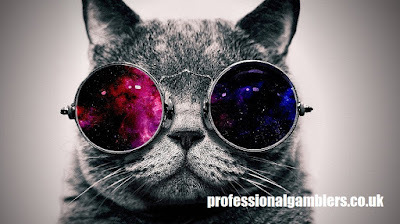 Join professionalgamblers.co.uk for top 2yo racing tips. 4:40 HAMILTON* - For a class 3 race this isn't the greatest race especially as I haven't got a clue who will set the pace or how fast of a pace, m not sure what to expect from Birdcage but I think it might prefer a slower surface so I will leave it alone till it shows me something positive to work with, Dutch Mist is 3rd top and Courier is in 2nd spot both can be held up or track the leaders but the selection HONEYSUCKLE LIL 9/1 is weighted to reverse form with the Courier and has put the same apprentice on board who rode it that day which adds to its chances even more. 5:05 HAYDOCK** - A race with 17 runners in a class 3 affair, there's 3 that have been known to lead before, only 6 horses I could dismiss as being possible lays, any bias in the race is for a high draw and 2 of the front runners that are not in my top 4 ratings are drawn in stalls 2 and 4 which won't help their cause, 4th top is Duke Cosimo but it's in stall 5, 3rd top is Misterioso and in stall 3 whilst my 2nd top rated Major Crispies is even worse drawn being in stall 1, which leaves me with the 3rd possible front runner and top rated SHORE STEP 25/1 and this one has had some luck with the draw getting stall 17 so I'm hoping this one can set the pace on the high drawn side and then prove more than hard to catch for most of these and at such a big price I have to suggest an each-way wager.